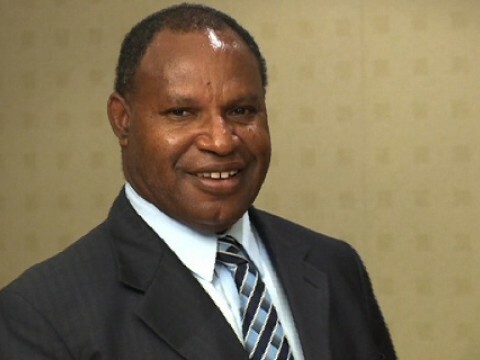 Port Moresby (EMTV) .Minister for Trade, Commerce & Industry Richard Maru is expected to submit a report to NEC on the Solomon Islands Trade & Investment mission. Included will be recommendations to stop labour-mobility discussions with the Solomon Islands, until they address duty-free access issues. Maru said these are important issues that have hampered exporters from PNG. Minister Maru called a media conference yesterday to express satisfaction on the recently concluded trade mission to the Solomon Islands. PNG is the 3rd largest investor in the Solomon Islands with close to 30 companies fully operational. From the private-sector stand-point, Minister Maru was pleased with the interactions between manufacturers and importers from both sides. Minister Maru however expressed concerns to his counterparts that were issues that needed to be addressed. Firstly, the implementations of the Melanesian Spearhead Group agreement concerning duty free access; secondly, the issue of the double taxation treaty; and thirdly the finalization of the Investment Promotion and Protection Agreement. Among recommendations that will be brought up to NEC in the report, will be for PNG to set up a Trade Office in the Solomon Islands to service PNG’s trade interest. It is expected that some new exports to the Solomon Islands market will commence in October, further boosting what is already a vibrant trading relationship.